As we prepare to revamp our pantry space, we continue to look for the products we need to make things functional and hopefully beautiful as well. 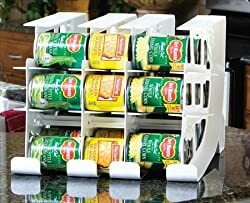 Here are some dispensers that can be used for storing canned goods to save space and help you figure out what you really have in your pantry! This one is from living whole foods inc. I wonder if it is sturdy, but it seems to make good use of vertical space. I don't quite understand how you put the items in to achieve "first in first out" though. Apparently the top and middle rows alternate dropping to the bottom. Sounds confusing to me. 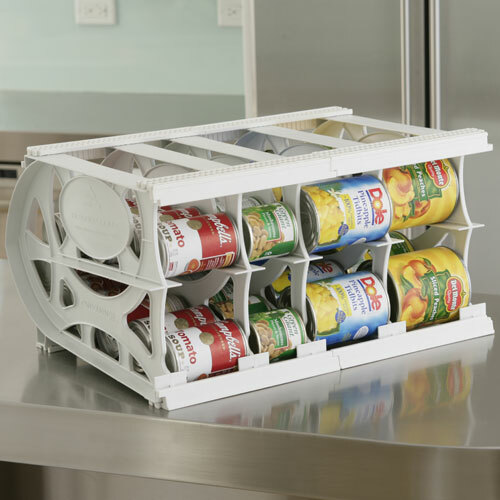 More are available from organize-it, with a chrome can rack and a stackable white plastic one. 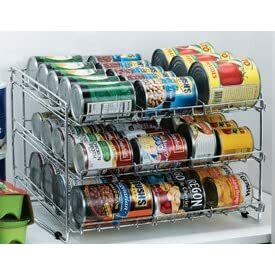 The chrome can rack has good reviews for its sturdiness and use of vertical space. But you would always have to remember to fill from the back to get the "first in first out." I'm not sure how you would fill from the back on the middle and lower rows. The plastic one is a drop down which is nice and it is stackable. But again, there are some complaints about sturdiness. This smaller one is available through Amazon. This is nice and simple and not made of plastic so hopefully it is sturdy. 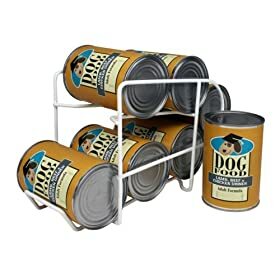 But it isn't stackable and it isn't clear if it would hold all size cans. No winner here yet. Gotta keep looking. Air tight seals - I tested out a large 2 gallon Heritage Hill container that is beautiful but found it didn't keep out the moisture. Click-Clack polycarbonate plastic jars from The Container Store that only go up to 4.2 quarts. Oxo Pop plastic jars from Crate and Barrel but they only go up to 5.5 quarts. French hermetic glass terrains from The Container Store, but they only go up to 34 ounces (4.25 cups). Montana glass jars which go up to 2.5 gallon in size, but I wonder how well they seal. After reviewing sizes and customer reports, including this helpful one, I think I'm settled on the Anchor Hocking Montana Jars with the Brushed Nickel lids! 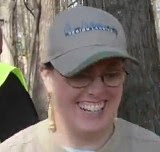 The Winner!! *UPDATE* These come in 48 oz, 64 oz, 96 oz, 1 gal, 1.5 gal, 2 gal, and 2.5 gal and have options of black, red, or brushed silver metal lids. It turns out these many options are difficult to find on store shelves and even online. The most comprehensive selection I've found online are available here. Borosilicate glass and stainless jars from The Container Store that go up to 68 ounces (8.5 cups). Stackable square glass containers up to 80 ounces from The Container Store with again, possibly questionable seals. 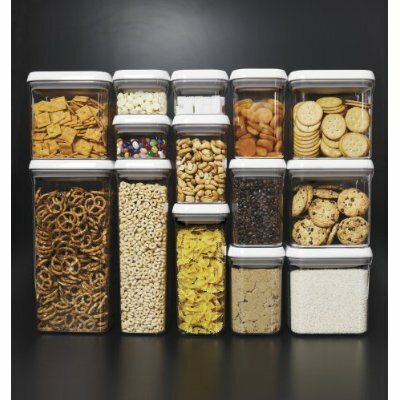 Food grade small, medium and large storage bins and flip-top acrylic containers for bagged items from King Arthur's flour who also happens to have thick glass refrigerator pitchers with seals that are imported from Italy! I've been looking for a glass pitcher with seals!! There's a chance you're eligible to receive a $1,000 Amazon Gift Card.